Our academic staff conduct world-leading research spanning a wide range of topics which have real-world clinical applications. Find out more here! Academic staff in the School of Optometry and Vision Science conduct world-leading research spanning the breadth of the optometry and vision science fields. Starting with basic science – understanding how things work – visual neuroscience explores the extensive brain systems that support vision. This discipline combines diverse but complementary techniques such as physiology (studying cells in the eye and brain), human psychophysics (quantifying the limits of our vision) and computational modelling (linking brains/eyes to human vision). This work in turn informs clinical research into issues related to vision throughout the lifespan such as amblyopia (lazy-eye), myopia (short-sightedness), and age-related conditions of the eye such as glaucoma and age-related macular degeneration. Our research can be categorised under six broad themes, which sometimes overlap: Ageing Vision, Children’s Vision, Myopia, Physiological Optics of the Eye, Technology & Vision, and Vision Neuroscience. A few examples of research in these areas affecting real-world issues are shown below. 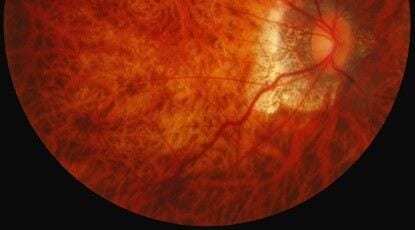 Neural plasticity – the brain’s remarkable ability to adapt to change – has triggered a paediatric research program on amblyopia (“lazy eye”), a problem affecting 3% of New Zealand children. There is ongoing development of treatments involving modern technology such as video-game play, a popular alternative to eye-patching. Investigations into mechanisms of retinal degeneration in diseases associated with ageing by members of the Cell and Molecular Biology of the Retina lab aim to develop earlier detection methods and interventions for reducing the effects of age related macular degeneration (which affects 1 in 7 people over 60+) and visual function loss in Alzheimer’s disease. By 2020 the World Health Organisation estimates there will be 1 billion people affected by myopia in the world. Research conducted in the Myopia Lab spans the spectrum from the underlying mechanisms of the development of myopia to commercialisation of solutions. Our research led directly to the design and commercialisation of special contact lenses to slow the progression of short-sightedness. The Ocular Imaging Laboratory is designing, developing, and manufacturing new and improved modalities of imaging the eye. These include new magnetic resonance imaging (MRI) modalities of screening for cataract and presbyopia as well as laser ray tracing imaging for refractive measurement of the eye. This work includes running three longitudinal observational studies to discover biomarkers for the onset of cataract and presbyopia. The visual system system continues to develop after birth, and our research on children’s vision is aimed at understanding the factors which affect visual development in infants and children, so that problems in later life can be avoided. This research has developed the Auckland Optotypes, a new set of symbols for better assessing the vision of children who are too young to identify the letters on a traditional eye chart. You can help save someone’s sight by donating to the Community Eye Health Research Fund, which supports research programmes into Macular Degeneration, Myopia Research, School and Community Screening Programmes, and Vision and Neurological Conditions.